Duplicating Campaign and Moving People Over. Learn how to duplicate your Reply email campaigns in one click and move your prospects over from one sequence to another in bulk mode. Current implementation prohibits switching email addresses associated with a campaign once you have started it. However, if you ever find yourself in need of switching email addresses in the midst of a campaign or you simply do not need that address anymore, we would recommend duplicating the campaign and moving all the prospects over to the cloned version. This action clones the original settings except for People and any associated metrics.The duplicate campaign appears in the list with the New status. Open the People page of the original campaign. Select people you want to move to the duplicate campaign. Click on the Move to campaign drop down list. Check the check box near the duplicate campaign. Select a step you want to move the people and click Apply. 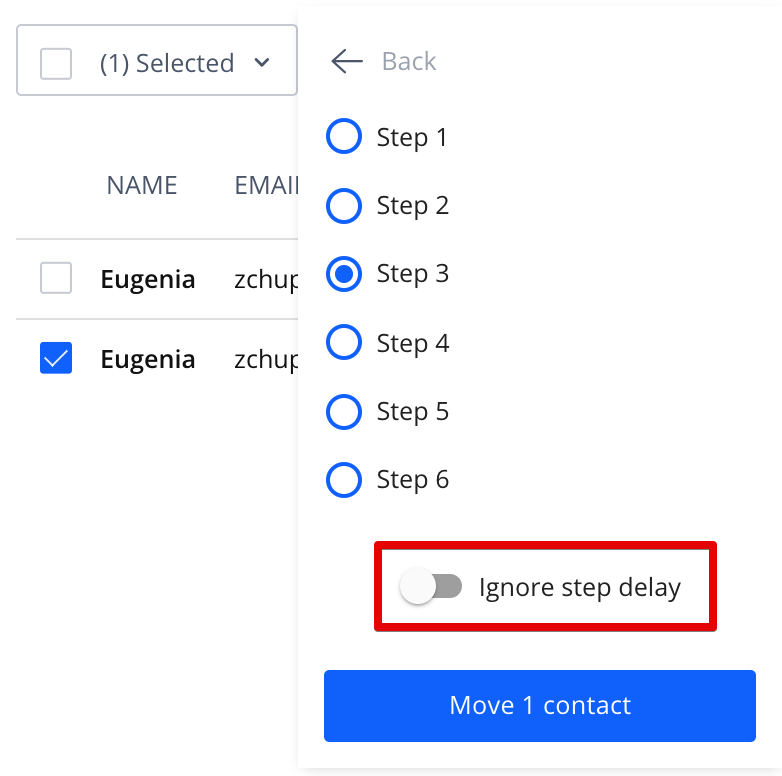 Note: when moving people to a campaign on steps with the delay, make sure you select 'Ignore step delay' if you don't want to wait a number of days before it sends out. 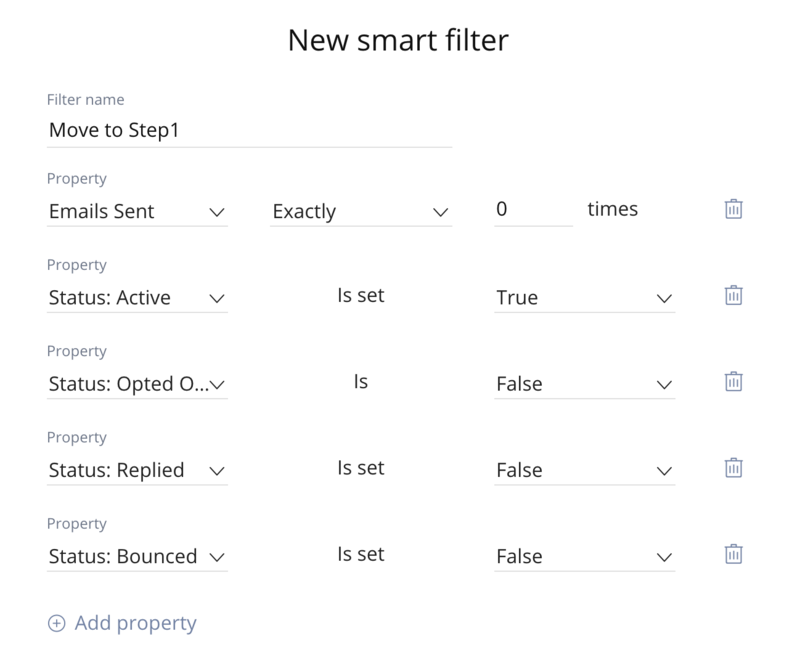 To move people who already received a number of emails, simply change the Emails sent Exactly line to 1 times for Step2, to 2 times to Step3, etc. Open the Settings page of the duplicate campaign. 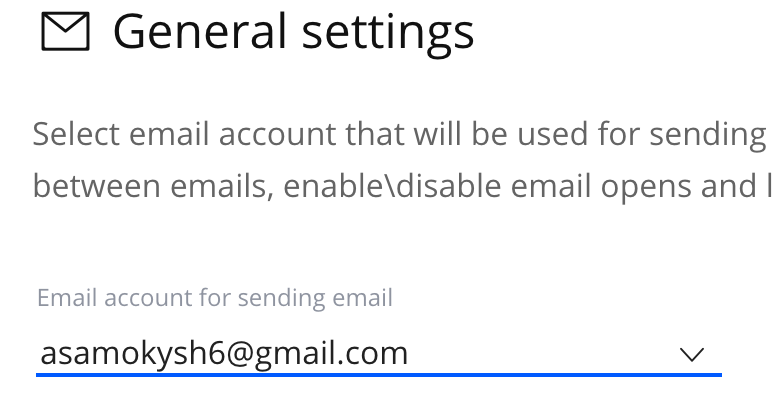 In the General Settings section, select the new email address using the Email account for sending email drop down list. NOTE: when moving a prospect to a follow up step in a duplicated campaign, make sure to set a subject line. If a subject line is blank for follow up steps, emails will go out without it, since there is no previous subject line to refer to in a duplicated campaign.